Perfect for use on delivery vans, trucks or 18-wheelers, the Samson Radial Truck GL283A is a commercial tire that offers excellent traction, a high carrying capacity and long-lasting wear life. Built with a heat-resistant compound molded into a self-cleaning tread design, the tire offers superior wear and gas mileage for road transportation, delivering versatility and stability throughout the life of the tire. With SmartWay Technology, the GL238A is a great, money saving purchase. 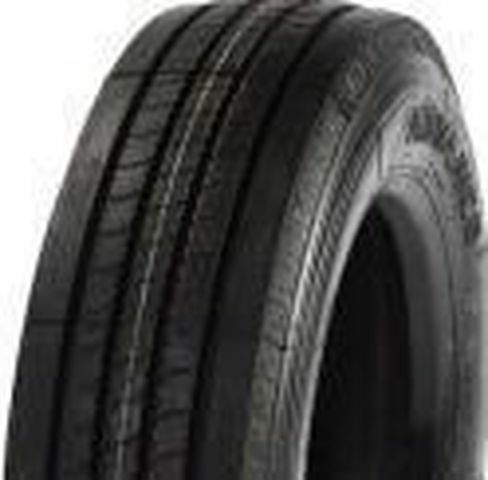 11/R-20 N/A 0 lbs 0 psi 0/32nds N/A 0" N/A 20"
Purchase includes the Samson Radial Truck GL283A tire only. The wheel rim shown in the picture is not included. Picture provided is a stock picture from the manufacturer and may or may not reflect the actual product being ordered. All Samson Radial Truck GL283A tires are continuously developing with manufactured improvements. With that said, Simple Tire and the manufacturers have the right to change these tire specifications at any time without notice or obligation. Please Note: Specifications of the Samson Radial Truck GL283A tires shown above are listed to be as accurate as possible based on the information provided to us by Samson tires. Installed on a 32-foot 2006 Southwind motor home in April of 2014. We now have more than 30,000 miles on these tires, with little tire wear. Handling is very good, never had a flat or blowout. We live in the Palm Springs area and don't drive in snow, so no comments on snow/ice handling. They now have fine cracking on the sidewalls, inevitable with the high heat here, even though we have covered storage. For that reason, they will be replaced next spring, with the same. Good value steer tires By submitting a review, each person received a sweepstakes entry.